There is a long standing tradition in Poland which is difficult to overcome and which almost automatically classifies amber as a folklore phenomenon - as a souvenir form the Baltic coast. Amber's image still seems to evoke the same kind of association as wicker furniture, "Polish flax, breadmeal soup and bison vodka. 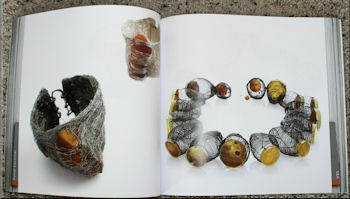 This is a picture book of amber and amber designs, many of which have been displayed that the annual AmberIF, in Gdansk Poland. 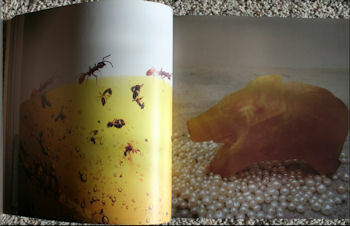 This is a soft cover books with nearly 140 glossy photographs of amber. 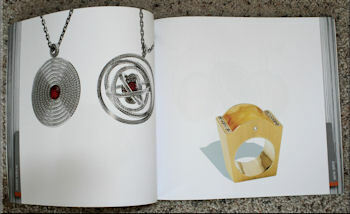 "TOP AMBER" is the first album to provide such a comprehensive documentation of contemporary designer jewelry with amber. 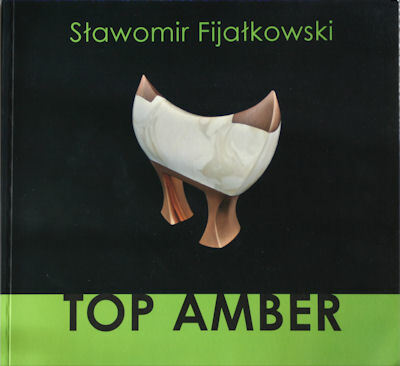 A clear division into three separate chapters on art, design and fashion allows the reader to find the appropriate reference points for many stylistic trends, names and developments which characterize Baltic amber, one of Poland's most attractive export hits in recent years. The album contains almost 140 photographs of significant designs and works by top Polish and European artists and designers in a clear layout. This is a must-have, both for many amber connoisseurs and for a broader audience, for whom this album will become a key to unlock the mysteries of the contemporary, avant garde and still not yet widely known nature of the gold of the North.